line out the door at IM west. Students waiting to vote. 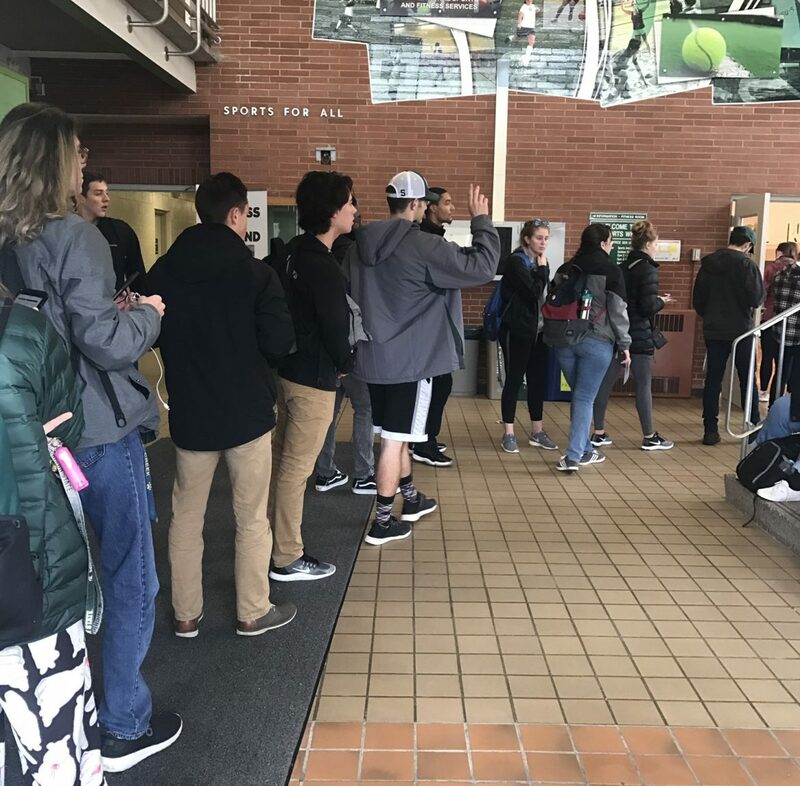 The line at 11 a.m was out the door at IM West on Tuesday morning as students waited to cast their vote. Many talked about who they were going to vote for while they waited. For some students, this is the first time they have come out to vote. Pauleana Stevanovski, a sophomore at MSU, said this was her first time voting. “I decided to come out and vote because there are a lot of topics being voted on,” Stevanovski said. “In the past I haven’t found anything that important to me, but this year there’s multiple topics I am passionate about. Stevanovski said certain measures need to be taken to make sure marijuana isn’t abused, if it becomes legalized. “I don’t think people should be sitting in jail for 10 years for having marijuana on them while people who have murdered people can get out of jail earlier,” she said. Melissa Linden, a senior at MSU, said she couldn’t wait to submit her ballot. She felt this election was one of the most important elections in which she’s voted. Linden said she hopes people pay attention to local races as well. “The local races never get as many votes, and I think there’s important topics being voted on,” she said. 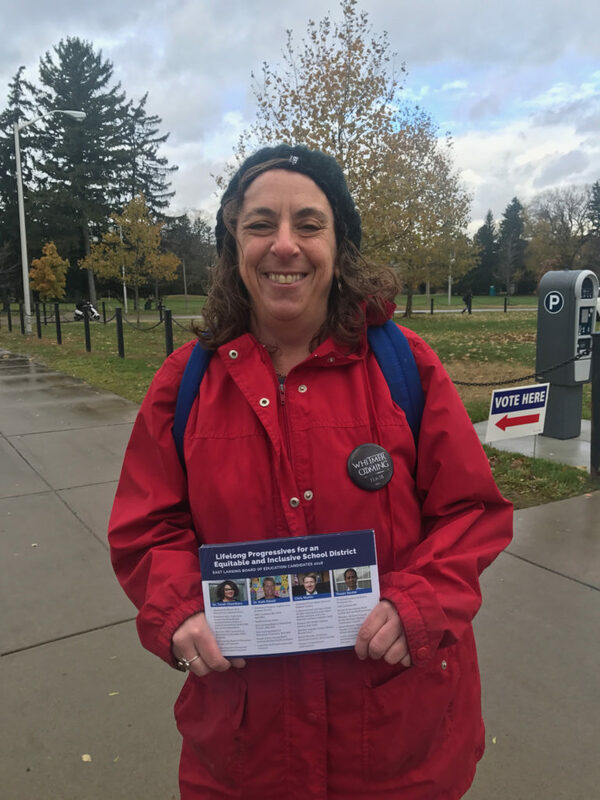 East Lansing resident Karen Honey said this may be the most important elections in her lifetime because there are so many important topics being voted on. Honey, who was handing out flyers about candidates to voters outside IM West, said she has been voting since she was 18 years old. Honey said she hasn’t missed any elections because electing the best representative is important to her. Honey said she has an 18-year-old son who is voting for the first time today. She said she wants her son to know his vote is significant. Catherine McEvoy is a Journalism major focusing on sports broadcasting. Sports she enjoys following are golf and basketball. Golf has been in her life since she was young and currently she plays on the Michigan State Women's golf team. She hopes to become a reporter for the Golf Channel one day.